At Hanson Place CDC, we offer the best in childcare and provide the children with an exciting and innovative educational program with lots of fun activities. 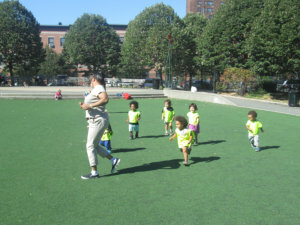 Our program is designed to provide a wide variety of learning opportunities in a loving and safe environment. Our staff is trained to provide a quality curriculum geared to prepare your child for higher education.